A single operator, or even a group of operators collectively cannot address the cyber security problem without the support and engagement of other parts of the industry, government departments and agencies and academic thought leadership. The majority of our work therefore involves engagement with associations and other partners who are best placed to do things such as publish industry standards or engage more broadly with their membership by integrating cyber security into skills development or industry events. We are particularly grateful for the support that we receive from our host government department, BEIS and from the NCSC. The ENA operate a cybersecurity group which closely coordinates with us and our distribution members participate in ENA cyber security work. The key work item to date has been the production of a procurement standard outlining cyber security requirements for OT systems. The NCSC operate key industry Information Exchanges and we support the Energy Systems and Smart Meter IEs. We also benefit from NCSC work on threats and cyber security best practices and are happy to collaborate on CiSP the alert portal. The Department for Business, Energy & Industrial Strategy (BEIS) provides considerable policy support, including project funding for key activities to help develop cyber security capability in UK electricity and gas. 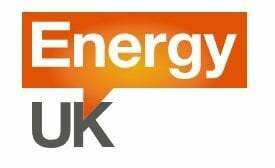 The industry association, Energy UK, has a strong set of relationships with suppliers of energy systems as well with both large and small generators. We have been pleased to work with the association on vendor/operator joint cyber security conferences exploring collaboration.